Hi friends! 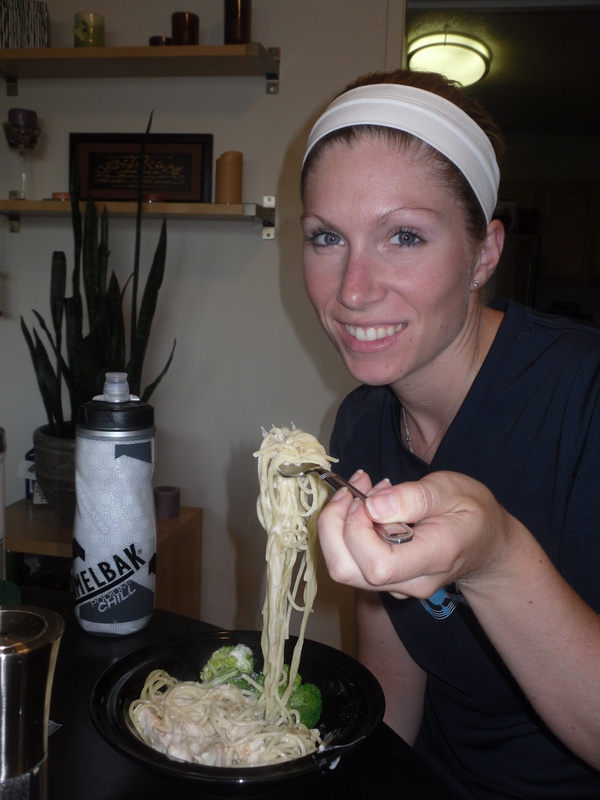 I’m Lauren, and I write about my triathlon training and racing adventures over at my tri blog. I completed my first Ironman this past November and I want to discuss one of the issues I had when training really started amping up: eating enough and being okay with it. Being in the blogger world means that not only do I write a blog, but I read other blogs as well. 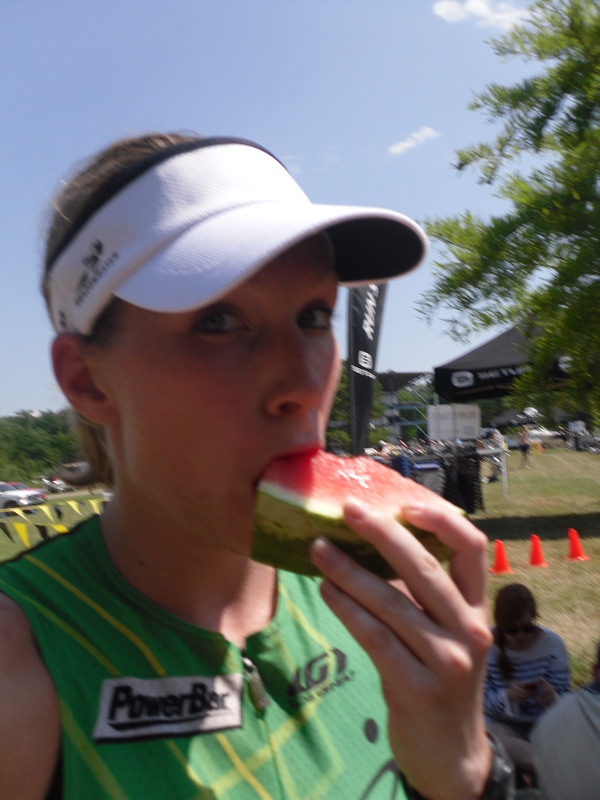 I mostly read other triathlon training blogs, but I do read some healthy living blogs. You know- the ones that document everything they eat on a daily basis. I never thought much of it until I realized I was eating 4 times the amount of these women. Just a smoothie for breakfast? Yea right- I would drink a smoothie and then eat two bagels. And then eat a bowl of oatmeal an hour later. And be hungry for lunch shortly after. At first, I really struggled with the amount of food I was consuming. I didn’t understand how the healthy living bloggers could survive an active lifestyle with just a small chicken breast for dinner when I needed 3 to be satisfied. 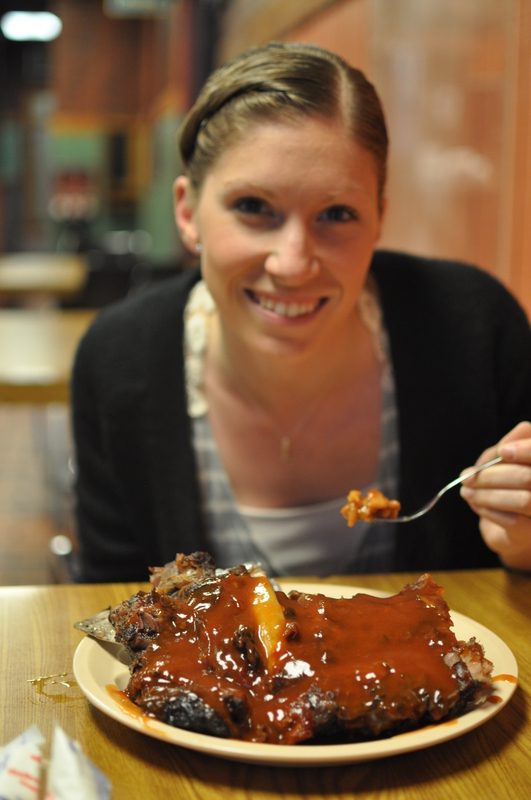 As a woman who cares about her appearance, I was scared I was going to gain weight training for the Ironman. 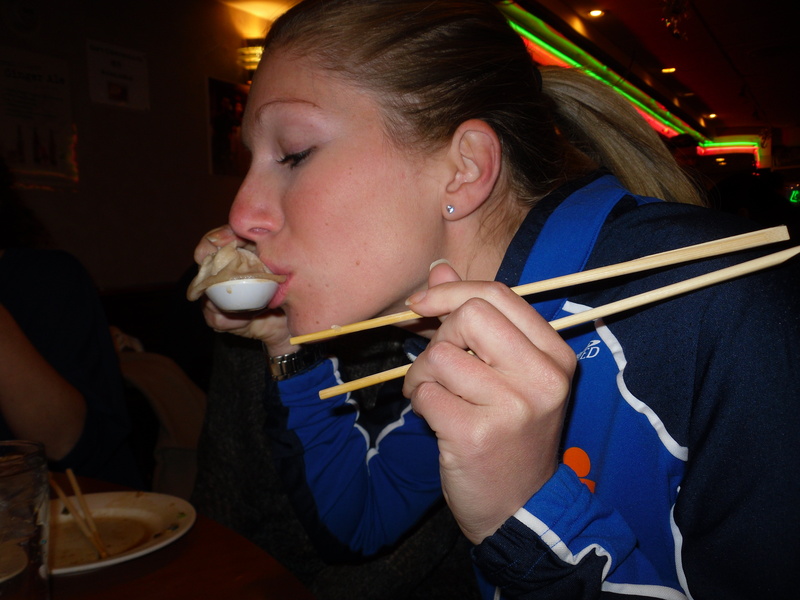 I thought my ravenous appetite was not normal for a 5 foot, 115 pound woman. I tried to limit my food intake for a few days but it backfired heavily. I was lightheaded, dizzy, starving and had no energy to get through a workout. After some research and talking to teammates, I realized I needed those calories to keep me going and keep me healthy during the months of training. After all, I was burning a ton of calories every day. Training for an Ironman means 6 days of working out, 4 of those days having 2 workouts each, and the weekends having both a long run and a long bike ride. I needed more then a damn smoothie for breakfast. I’m not knocking healthy living bloggers. Those women are happy with their lifestyle and their diet. Endurance athletes just lead a more active (some may call it crazy) lifestyle and therefore need to fuel and refuel appropriately. I may eat 4 times the amount of the typical healthy living blogger, but I also spend four times as much time sweating. Often times, I would need to eat a few more pretzels, almonds or other snack before going to bed so that I would not go to bed hungry. As a 6 foot, 155 lb endurance athlete, I completely agree! 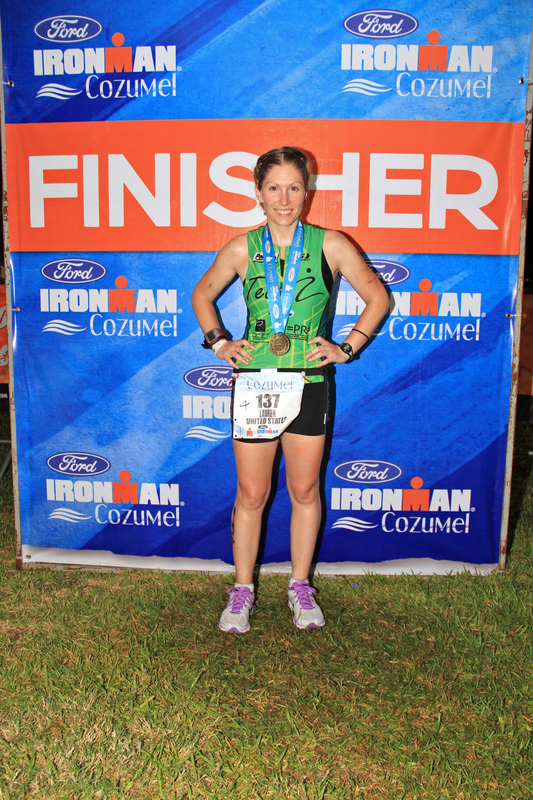 I actually consulted with a nutritionist in order to drop a little weight for Ironman – I didn’t think I was overweight, but I had shin splints and was trying to minimize the impact and effort needed for the 26.2 mile run. In order to lean up appropriately, and still be able to train, the nutritionist suggested a modest 2,800 calorie a day diet (The accepted average is 2,000). Needless to say, it was a hungry time. I was successful in dropping the weight, but endurance athletes need to remember that you need to fuel the body for performance and recovery appropriately. If that means your friends and coworkers shoot you angry looks when you’re enjoying breakfast, 2nd breakfast, 3rd breakfast, pre-lunch, lunch, post-lunch, afternoon snack, pre-workout, post-workout, dinner, and post-dinner meals, so be it. As long as you are fueling correctly (no twinkies, a balance of protein-carb-fat, etc), eat and be happy! When I first started reading blogs I thought I needed to eat like the healthy living bloggers and I quickly found out that was a bad idea. The one thing I hate about the blogging world is how easy it is to compare yourself to others. I’m surprised my eyes haven’t rolled out of my skull for as many times as I’ve ready “healthy” diets that are only 1600-2000 calories a day. That’s how much I eat by lunchtime when I’m in training. Endurance athletes are COMPLETELY different and shouldn’t even compare themselves to “healthy living” bloggers. This is a great post – and I agree, it does sometimes seem excessive how much you have to eat to fuel all the workouts. I keep finding that while I’m super hungry, I have little to no appitite sometimes and I wonder if anyone else feels that way?